Koreel has been manufacturing various kinds of industrial reels such as Hose reel, Cable reel, Air hose reel, Water hose reel, Cord reel and Crane reel for last 25 years. With advanced technology, high-quality, and convenient customer service as our strength, we have been recognized as the pioneer of reel industry. 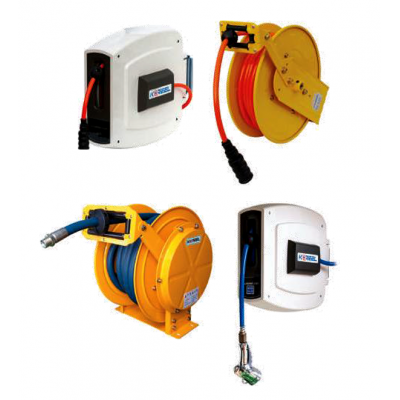 Air Hose Reel can be conveniently employed in the industrial sites using pressed air. It is designed with a flexible air hose and a special spring, which prevents it from leaking and maintains its rolling power. Additionally, it has simple structure to install and use with ease. It also raises the w..